Troy Dunkel is a seasoned accounting, finance and tax professional capable of serving as a personal and business strategic advisor. A graduate of the University of California, Riverside, with a BS in Business Administration, Troy started his career as an IRS Revenue Agent. He joined Price Waterhouse (now PricewaterhouseCoopers) where he completed his Masters in Taxation and earned his CPA, all while performing audit and tax services for premier global companies such as Disney, Hughes and Oaktree Capital Management. Troy subsequently earned his MBA with a Corporate Finance focus from the USC Marshall School of Business. Serving in private sector capacities ranging from controller to VP Finance and CFO for companies such as Aussie Pet Mobile, Pipeline Software and Red Digital Cinema Camera Company, Troy honed essential business and finance skills working closely with CEOs and other executive management. Account Manager at PIMCO, serving as a primary liaison over multi-billion dollar PIMCO-subadvised portfolios for institutional clients such as AXA, Jackson National and Transamerica. 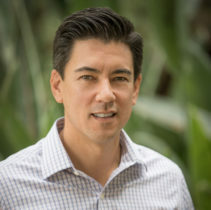 Among others, Troy’s responsibilities included: serving as a portfolio manager surrogate to client manager research teams and fund boards of trustees; leading inbound due diligence; and maintaining continuous assessments of global markets and understandings of implications to portfolio strategies. This experience stands to round-out a holistic client offering spanning accounting, finance and tax across personal and business needs.